Endorsed by top rescue leagues around the country, this all-in-one feral cat trapping kit has everything you need to trap and care for stray and feral cats. 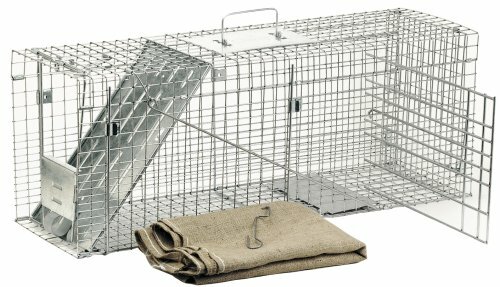 This Havahart humane cat trap is specifically designed to make catching feral cats easy. It's built with a large trip plate to ensure contact with the animal, and its targeted trip mechanism prevents smaller critters from falsely triggering the spring-loaded door closed. Kit Includes: Steel Cage Trap with Back Door; Divider; Back Door Hook, Burlap Cover. If you have any questions about this product by Havahart, contact us by completing and submitting the form below. If you are looking for a specif part number, please include it with your message.